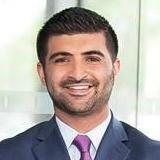 Kavish Wazirali, born and raised in Dallas, left to obtain his BA from Purdue University and graduated from Texas Tech Law School in 2013. Over the past years, Kavish has represented buyers and sellers in all aspects of commercial real estate transactions, commercial landlords and tenants in leasing matters, and has handled several different types of commercial closings. Kavish has also focused on the intersection of business and law and has gained significant experience in representing businesses of all kinds in corporate transactions and complex deal making. "Kavish took care of all the legal matters my partner and I had. He was simple, straightforward, professional and made sure all of our questions were answered. Got everything done in time, and had a very affordable fee. I will definitely be using his services again!" "The BEST attorney in Dallas!. Mr.wazirali, a young and talented lawyer who represented me and my partner in commercial lease which initally wasnt in our favor.But having Mr.Wazirali on our side, we were able to negotiate to agreeable terms. He is very impressive and easy to talk to and is always very responsive and professional. He's a sharp guy, very attentive to details, doesn't waste time, and most importantly, gets the job done!" MW Law specializes in business and real estate law, serving a vast array of clients in diverse fields and industries. With a new-age approach to legal representation, we offer hassle-free and flat fee based representation on most matters. Pratt, Aycock & Associates, PLLC is a law firm that focuses on Real Property and Title Law.